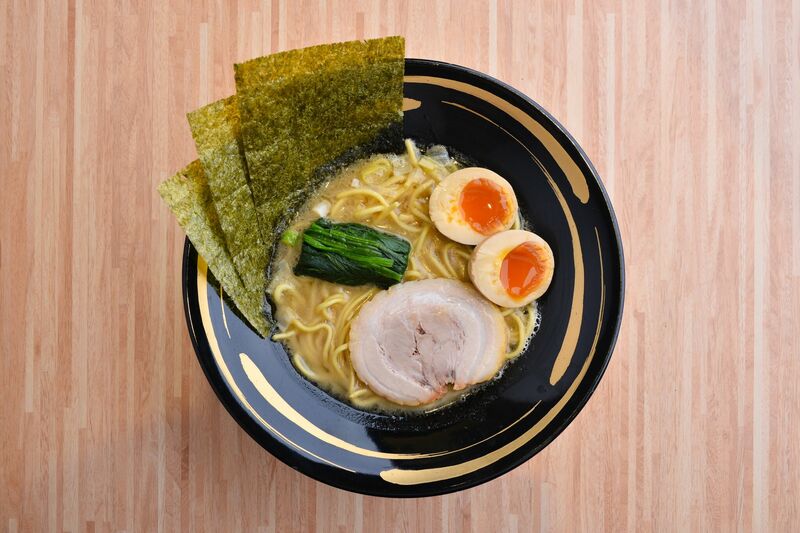 Originally from Kanagawa Prefecture, Machida Shoten has built a reputation for its Iekei ramen – a ramen dish where noodles are cooked to your specified softness/hardness in a tonkotsu and soya sauce mix broth. Machida Shoten opened its first store, Yokohama Kakei Ramen Machida Shoten, in Machida City, Tokyo, in January 2008. 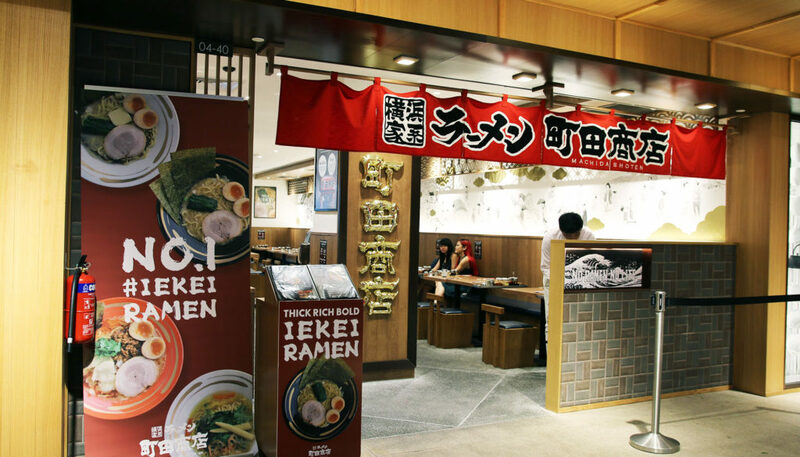 In just nine years, the brand has opened 45 outlets in Japan, and it consults over 400 iekei ramen restaurants in China, the Philippines, USA, Italy and Thailand. 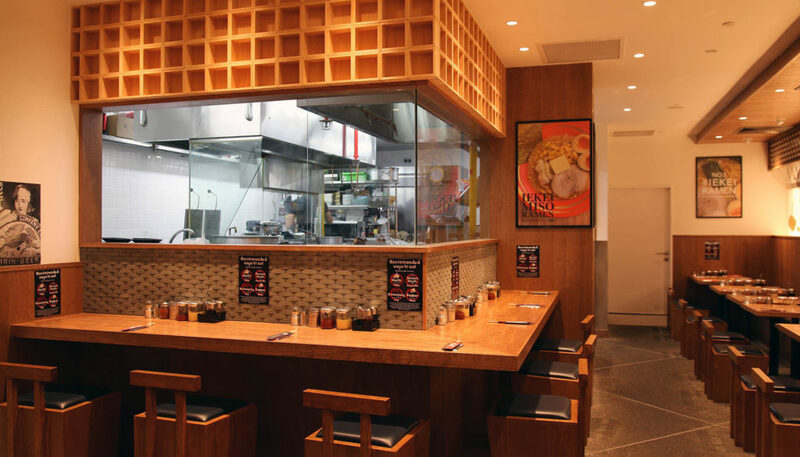 It is highly regarded as an iekei ramen specialist. 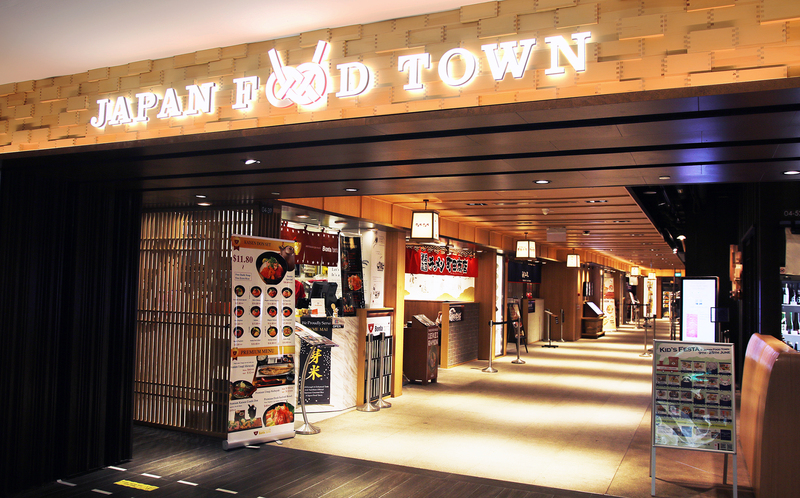 Their first Singapore branch is located in the Japan Food Town, Wisma Atria. The name “Iekei” literally means “house-type” from the kanji “家”. The chain uses pork and soy sauce as the base for their soup, and thick, flat noodles. 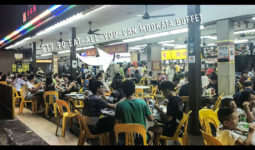 A bowl usually comes with slices of roast pork, nori seaweed, and spinach, but there are other variations such as eggs, the number of pork slices, and the amount of seaweed. 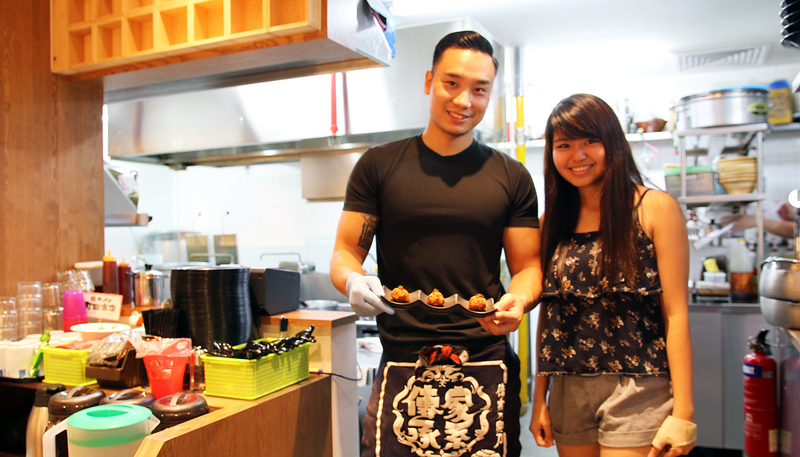 This handsome and talented Japanese chef has over 10 years of culinary experience! Let’s start with Miso Tonkotsu Ramen! 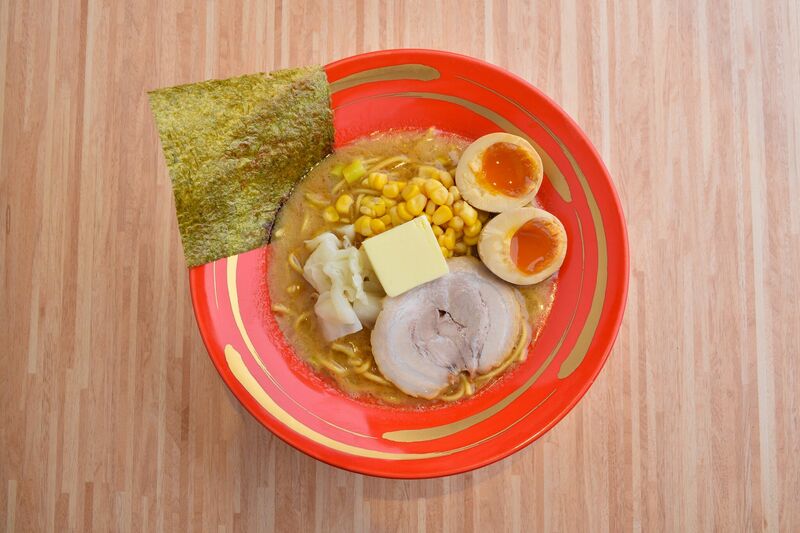 Its Miso Tonkotsu Ramen fuses both miso and tonkotsu soup base. The miso used is a combination of red and white miso. The bowl is then topped with sweet corn, cabbage and butter for extra smoothness to the noodle. Machida Shoten’s chef customized for us the thickness of the broth and the hardness of the noodle, which both came out just nice for our taste buds! The Japanese usually choose the thickest broth as a sauce for the noodle, so the thickest broth is not exactly for consumption. 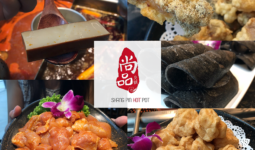 On the other hand, Machida Shoten allows its consumers to choose the ramen broth according to how Singaporeans usually like it – not too thick else it’ll be too jerlat for us. Egg is also perfectly cooked to runny yolk, while the white that surrounds the yolk is also slightly runny. Flavor of the entire egg is tasty and well-marinated too! Yokaama-style iekei ramen – Shoyu Tonkotsu! Another must-try of Machida Shoten is its signature Yokaama-style iekei ramen – Shoyu Tonkotsu! It is a mixture of soya sauce and pork bone broth. 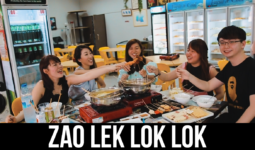 One mouth and you could taste the fragrant porky flavor within the broth. Personally, I prefer this broth to Miso Tonkotsu’s broth as its pork bone broth’s saltiness is just nice for me, though both broths are of regular strength. 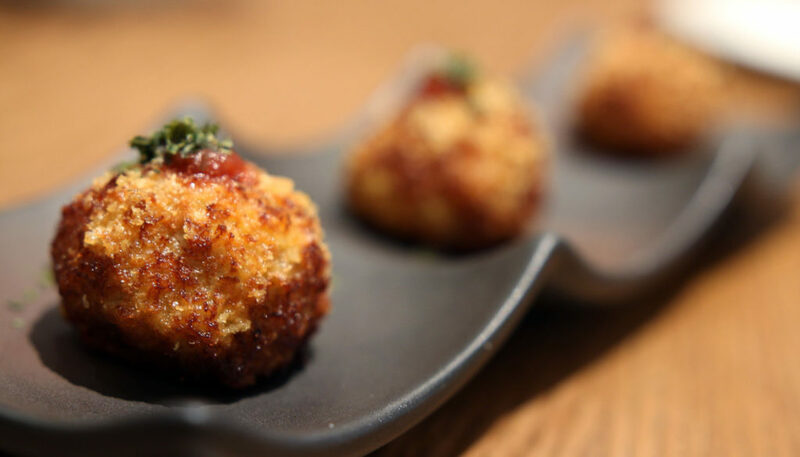 Cripsy on the outside while it tastes like a meatball within, filled with minced Cha Shu bits. The tomato sauce dressing gives it a tangy flavour which compliments the savoury fillings. It comes plated like a semi-fine dining dish. 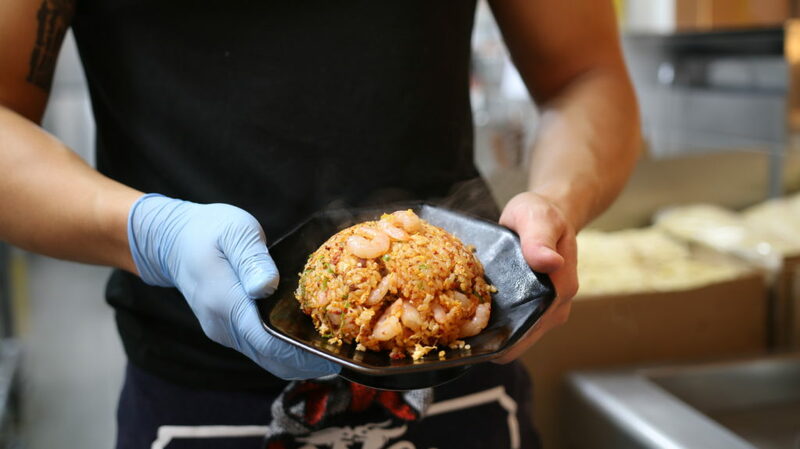 Egg mixed with tata sauce goes really well with its deep-fried fresh shrimp. 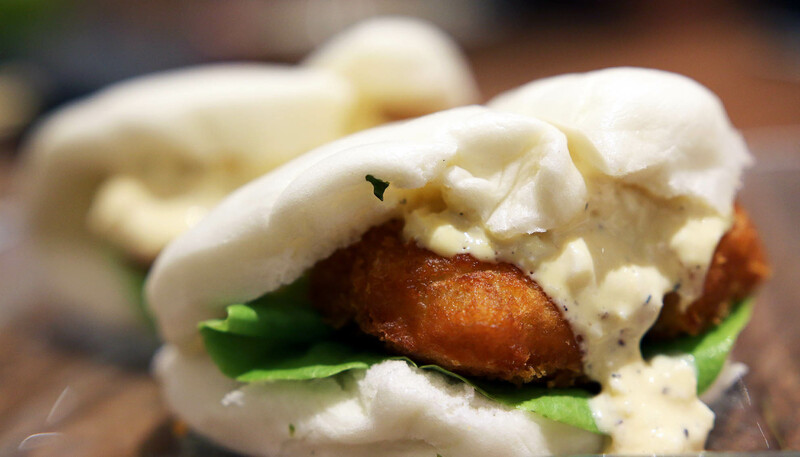 Its bun is actually chinese bun (kong ba bao), revealing the intention of the chef trying to localised its dishes to fit the locals’ preferences. Fell in love with the sauce itself immediately – one of the better sides I would say. Seasoned Iberico Spareribs ($14) MUST TRY! 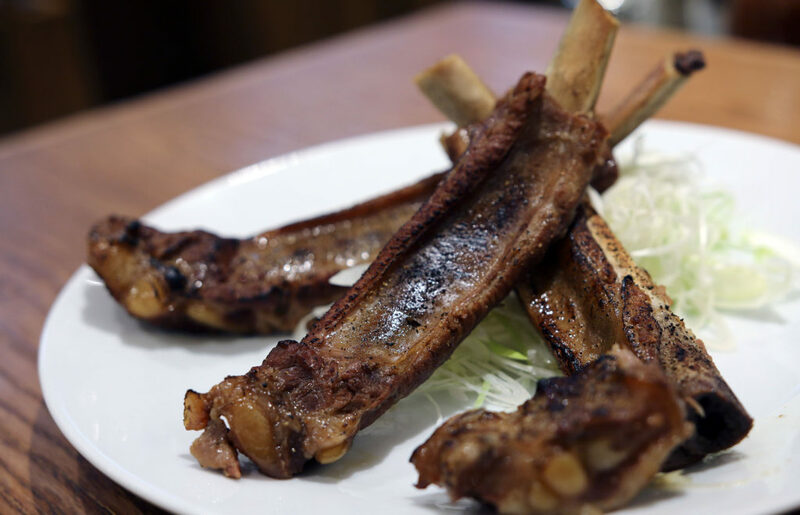 One of the limelight of the choices, this charred yet tender meat falls off its ribs easily, with its fats melting almost immediately in your mouth – really fragrant and savoury dish which makes you desire for more. 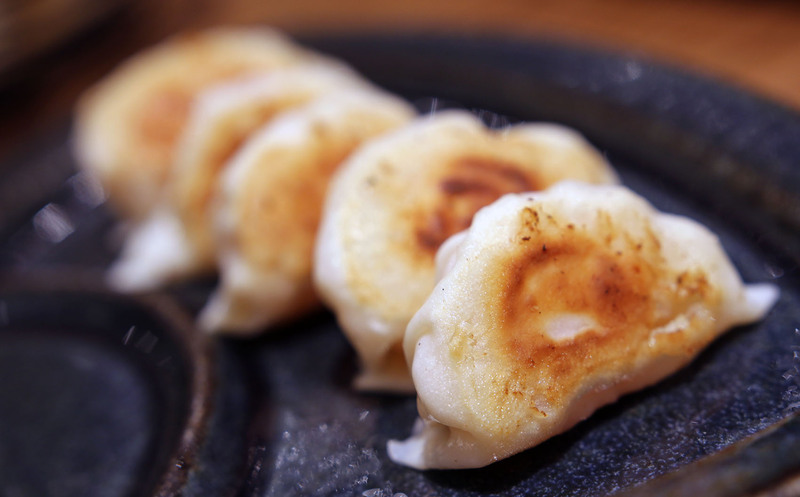 Best of both worlds is my favorite shrimps in gyoza style! Mixing white vinegar with chili oil is an unexpectedly good experiment to dip the gyoza in. An entire tiger prawn is encased within the thin gyoza skin which are pan fried thereafter, instead of the usual mince meat and chives. Sour taste from the vinegar dip together with the sweetness and freshness of the prawn is a wonder creation. 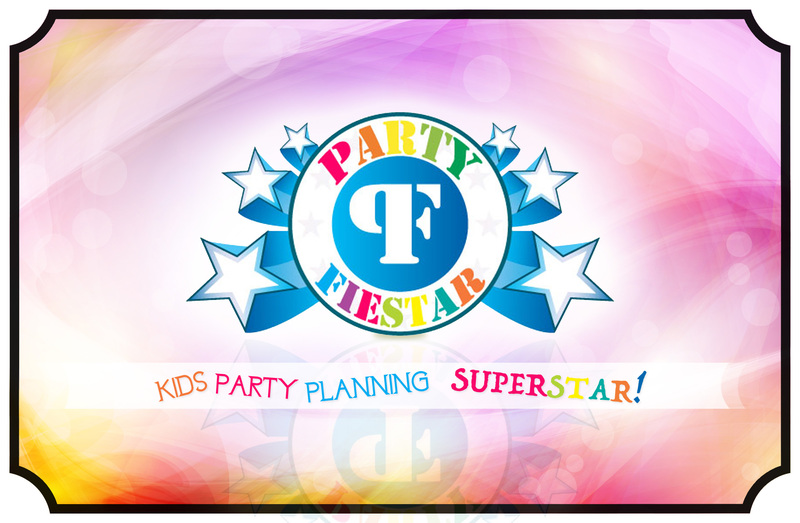 This is also another local fusion done by the chef. Fried in wok with shrimps, dried chili flakes and eggs, this tastes more like a chinese dish than a japanese dish. 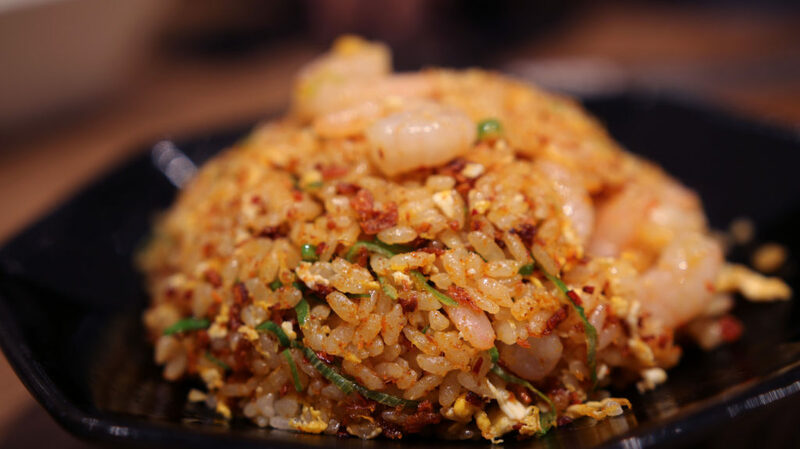 However, its rice is japanese whole grain rice, so for every mouth of this fried rice, you can taste the fullness of each grain firm and whole.